BBQ Shredded Chicken Sandwich is a slow cooker dinner that tastes amazing! Wahooo it’s Fit Friday! I’m obsessed with Fit Friday!!! We can’t wait to see what Nichole has in store for us today! BBQ Shredded Chicken Sandwich is a tasty source of protein! This also makes the absolute best left overs!! I love to grab the chicken out of the fridge and make a quick sandwich for lunch! Another easy thing to do, is to freeze half of it and save it for a rainy day. You know those days where you don’t know what to make for dinner and you’re just hungry now? Pull this out of the freezer, warm it up, make some sandwiches… and you are good to go my friend! The weather is getting gorgeous at my house, at least for a few days here and there. When the sun is out, the temps are up, and the wind isn’t blowing too crazily my legs start itching for the track. I have already started thinking ahead to days when I get to start taking my boot camp out in the fresh air and so today that is what we are doing. We are heading to the track. 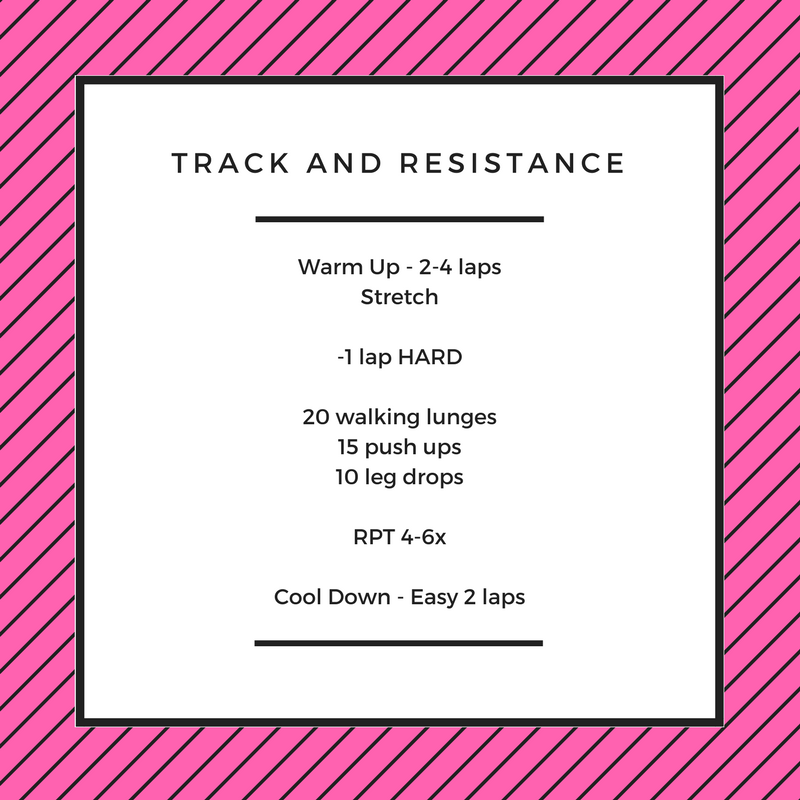 If you still want to do the workout but don’t have the option to head to a track keep in mind that one lap on the track equals 400 meters (.25 of a mile). I like to do my walking lunges moving around the track. The push ups and legs drops get completed wherever I finish my lunge set. Then I have two options; 1) easy jog around to my original start and go hard from there or 2) my next hard lap starts wherever I finish up my resistance stuff. Remember…..it isn’t supposed to be easy. The challenge is where we grow. The challenge is where we improve. The challenge is what takes us to the next level. BBQ Shredded Chicken Sandwich will rock your world this Friday! In a small sauce pan over medium heat, combine shredded chicken, chipotle, and bbq sauce. Bring to simmer; cook for 10 minutes- stirring occasionally. When ready to serve, layer buns with spinach, chicken, gorgonzola, red onions, and tomato. i have never tried shredded chicken in a sandwich! Would love to try this as a brunch meal for the weekend, thanks for this simple yet hearty recipe! It is absolutely perfect for any brunch, party, family event. We have cooked up to 5 crock pots of it at the same time for a family event! Everyone loved it. Enjoy!! Looks delicious and will try to make it this weekend. How awesome!! We hope you LOVE it!